SORRY NOW SOLD. MORE REQUIRED. 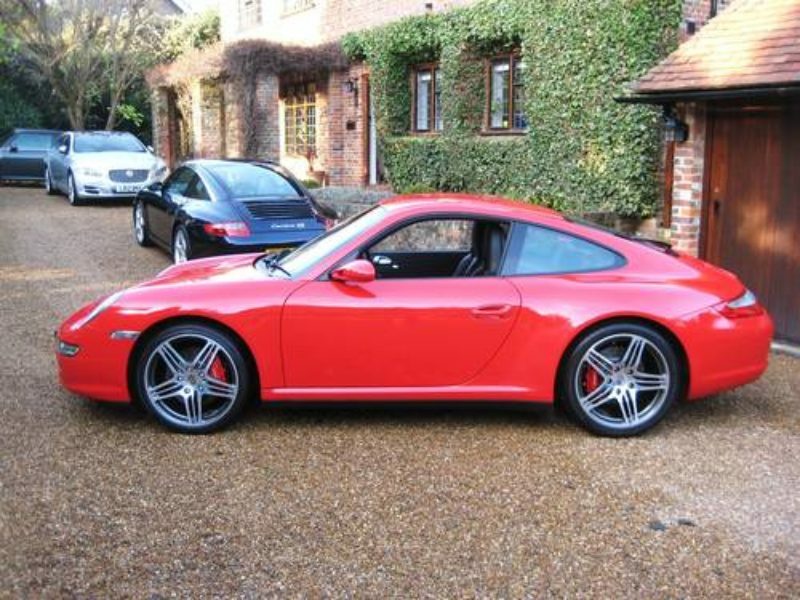 ONLY 16,000 MILES FROM NEW & 2 P/OWNERS + JUST BEEN SERVICED. 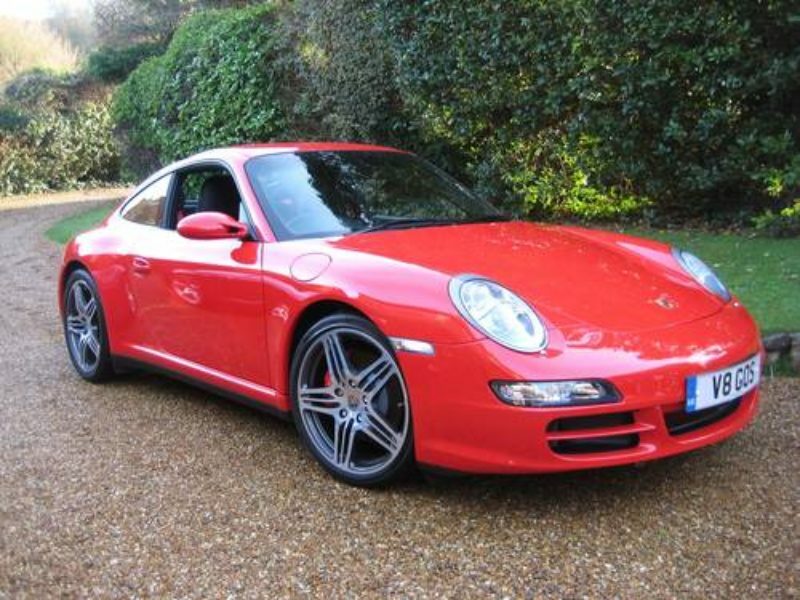 MASSIVE SPEC 2007 model year widebody carrera 4S 6-speed manual finished in very rare Guards Red with unmarked full black leather. 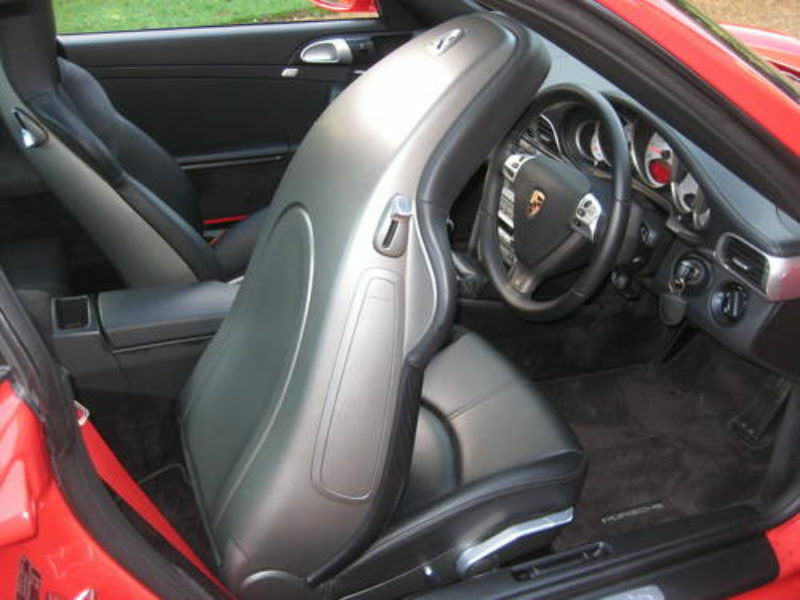 Specification includes electric slide/tilt sunroof, PCM navigation module, telephone module for PCM, BOSE sound system, CDC-4 six disc CD auto changer, 3-spoke multi-function smooth leather steering wheel, cruise control, gear lever in aluminium, hardback heated sports seats with Porsche crest embossed on headrests, Guards Red seat belts, rear wiper (with aero blade), rear park assist, totally unmarked 19″ forged two-tone alloys, fitted TRACKER system etc. 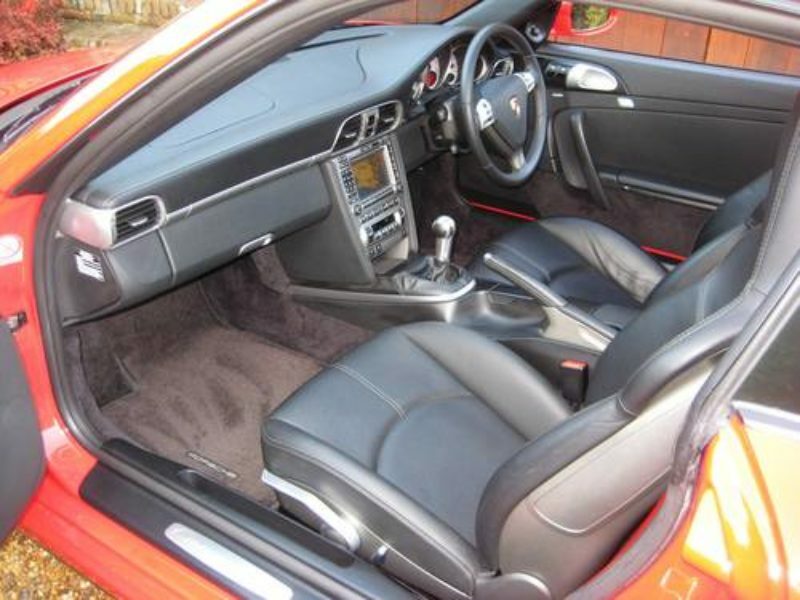 Cost new circa £80k with £10k of optional extras. Supplied new by Porsche Centre Silverstone with fully documented Porsche history from new + just been serviced & a new 12 month MOT. 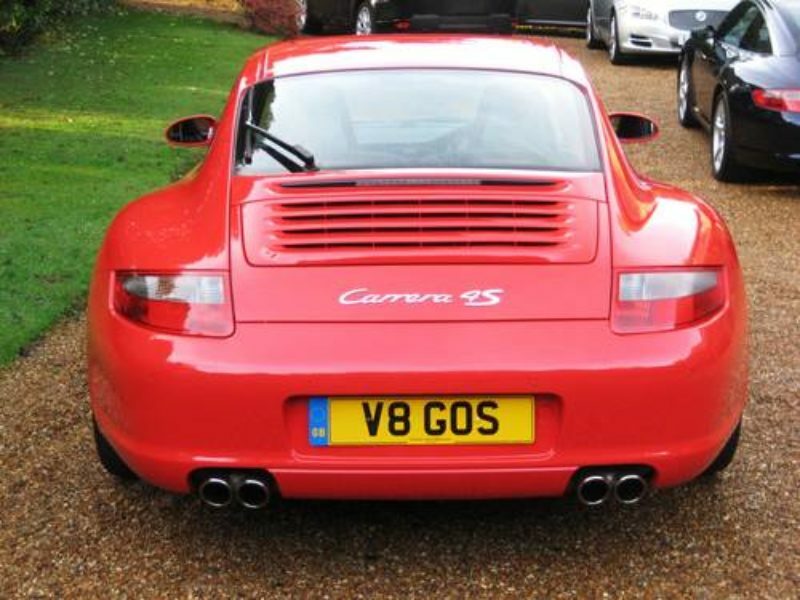 Please note private plate V8 GOS is included in the sale. Complete with owners book pack, fully documented history file & all 3 keys. 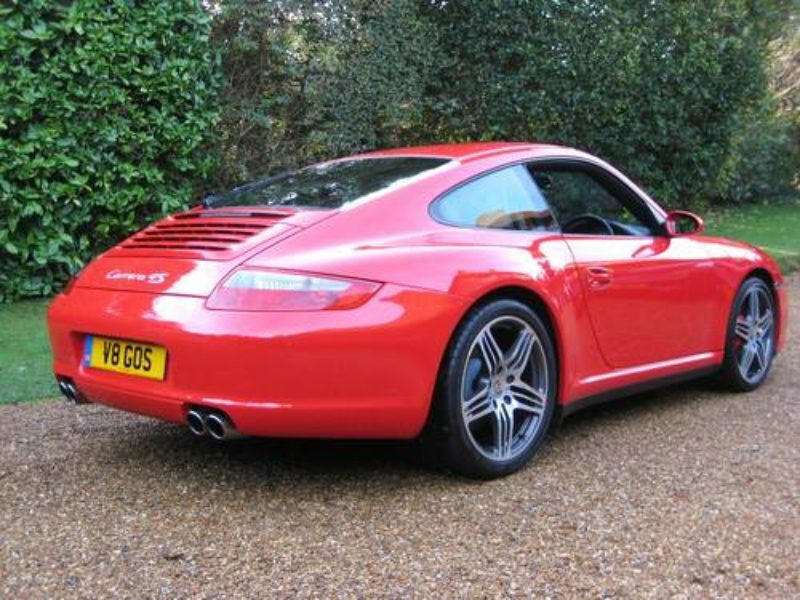 THIS IS AN ABSOLUTELY STUNNING LOOKING VERY LOW MILEAGE EXAMPLE KEPT IN TOTALLY PERFECT CONDITION BY IT’S FASTIDIOUS OWNER SINCE 2009 & 5,000 MILES.